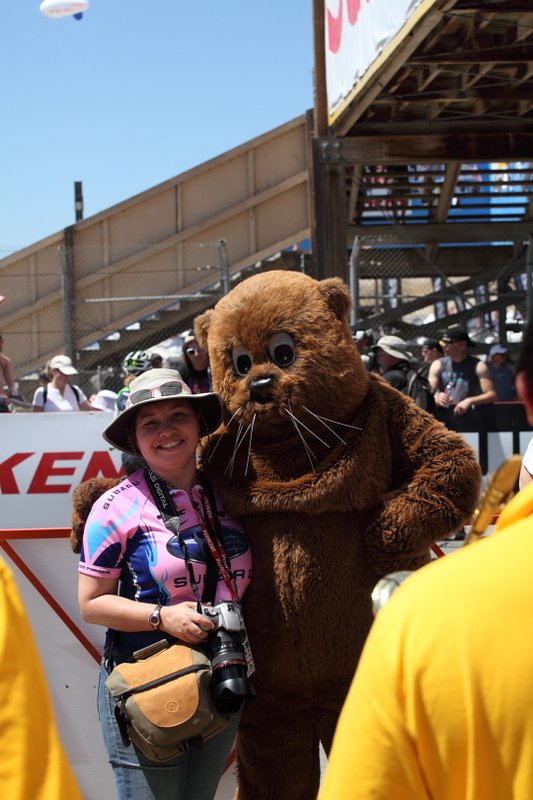 We decided to make our final day at the Sea Otter Classic the most eventful. The weather in Monterey was just as warm and sunny as the day before. Maybe even warmer; our car thermometer read 91 degrees. Once again it was a perfect day to photograph, the sky was blue and cloudless. 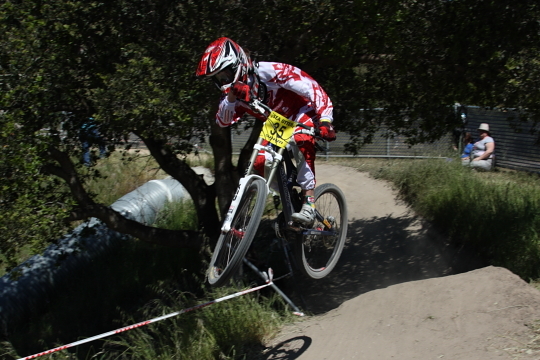 After having breakfast at the media center we hopped on the shuttle to the bottom of the Downhill course. 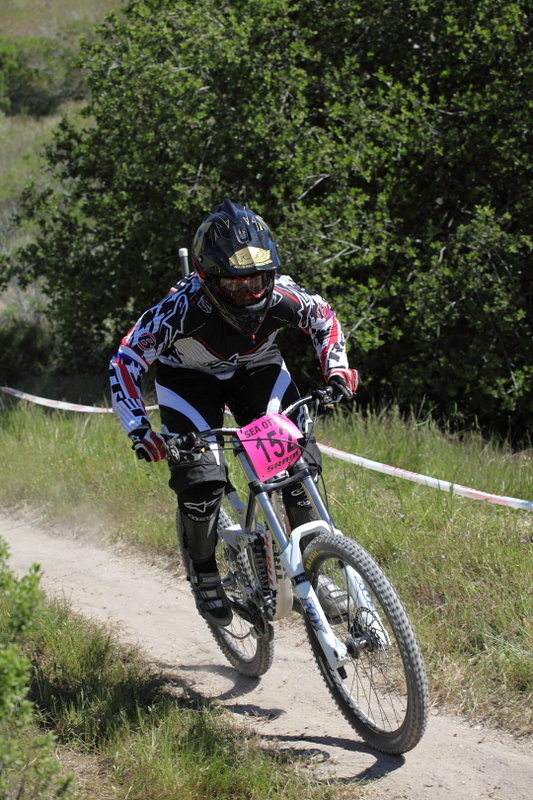 While Bryan positioned himself about halfway up the course, I stood near the finish line. 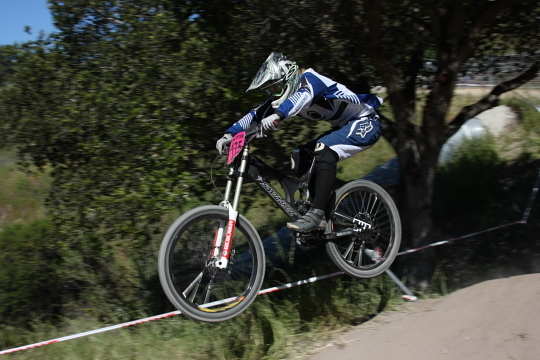 Luckily the course creators put a few jumps at the end so I got some nice photos of that. 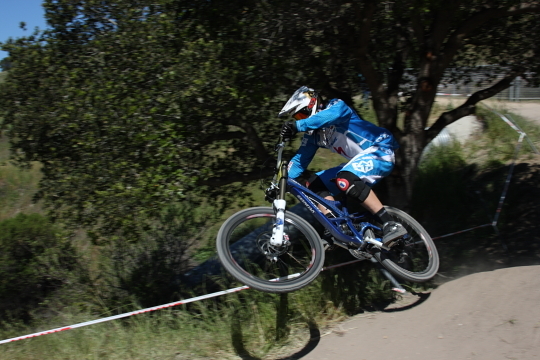 As with many of these dangerous mountain bike sports, there were a few people who fell. 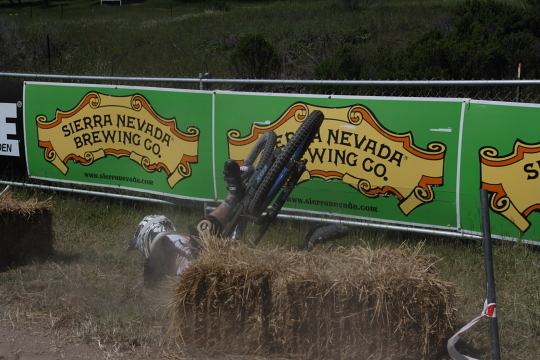 But these athletes are pretty tough so they all got right up. After the Downhill our fantastic shuttle driver Jen picked us up and brought us back to the media center. Jen and all the shuttles were a very appreciated service for us media folks. I can’t imagine walking to many of these courses. We filled up on a huge taco lunch at the media center and then headed to the Cross Country course. 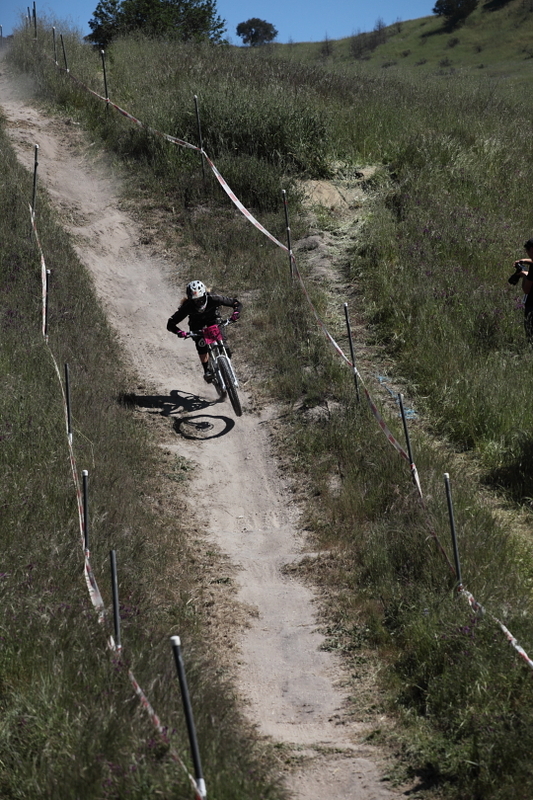 We got to photograph the start of the men’s race and then we got on another shuttle to a see the women race. The coolest part of this shuttle ride is we actually got to drive on the famous corkscrew at Laguna Seca. It was awesome! Bryan then took another shuttle up to Skyline Road where another section of the course was while I went back to the start/finish line. We photographed there for the next hour and a half and called it a day. One of the many great things about this trip is that we decided to stay an extra day. In an actual hotel room! With a bed and a shower! We used our extra day to visit the Monterey Bay Aquarium so I will have even more photos to share! 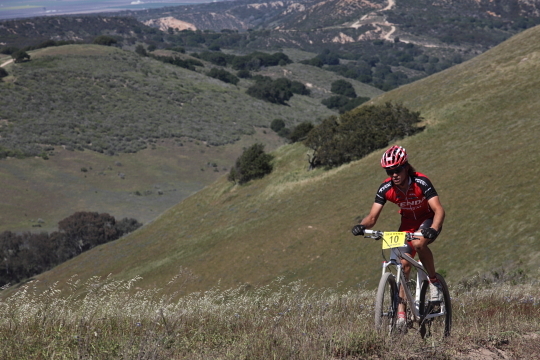 For more of our Sea Otter Classic coverage check out Bryan’s race report at Amateur Endurance. You can also see more photos from Day 4 in the GALLERY.